I recorded and uploaded History Quilter Podcast Episode 26 yesterday and is now available both on Podbean and iTunes. 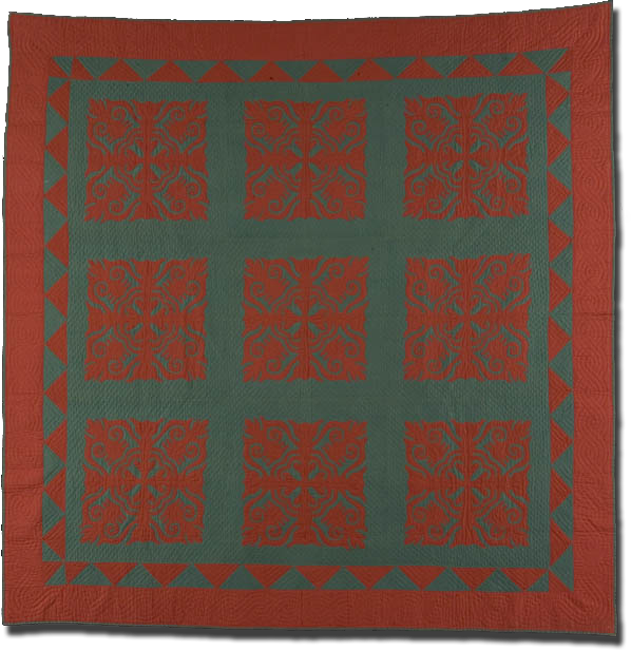 Hawaiian Quilts received bit more airtime this episode due to Jaye's comment about the German tradition of Scherenschnitte or scissor cuts in which she shared how Scherenschnitte is the big sister of snowflake cutting. 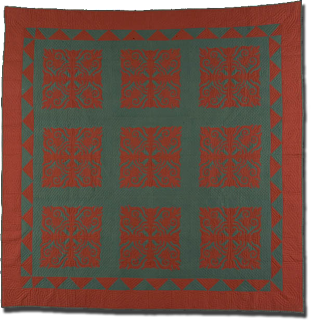 Last time when I spoke about Hawaiian Quilts I explained how they mimicked snowflake cutting as the design appeared to be cut out of one single piece of fabric. So what do you think? 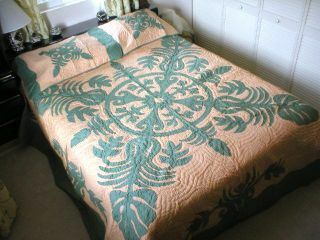 Do you see the link between Scherenschnitte and Hawaiian Quilts? What to see Scherenschnitte demonstrated? Go visit Cindy of papercutting.blogspot.com and watch her video at http://www.youtube.com/watch?v=7OWhRPWrrB0. 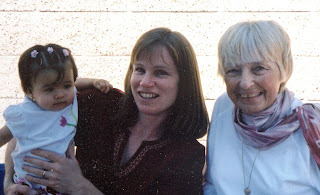 Eight years today...I miss her so. I do see similarities. I am very fond of Hawaiian quilts. Wish I had the patience. I want to see the cute block you got! I am looking forward to seeing that movie you talked about as well. We saw a preview on a rental dvd and it looks so fun! As hard as it is for you, I enjoy hearing about the sweet relationship you had with your parents. Your dress is going to be so pretty! Hope your day is a wonderful one! Here's an idea: How many shots of Jagermeister does it take before you can't pronounce Scherenschnitte? I'm out. CONGRATULATIONS ON YOUR MENTORING AND SCHOLARSHIP WINS!!! I haven't listened to your most recent podcast yet, but I am thrilled to hear you won't the scholarship! Great work! So I was driving down the road yesterday listening to you and I heard my name; yea! The I heard that I was a No-Reply Blogger; boo! I had no idea, especially since I've gotten E-Mails from other podcasters. I'll send you a note separately, but my E-Mail is thompst7@yahoo.com. Thought about you as I drive over the Pearl Harbor Memorial Bridge in Annapolis today; I still get choked up when I think of the young men who went from here to there.